He aint brotherly, he's my heavy. Finally got some more time spent on the last fig for the halfling band, the ogre. More views and details here. This piece is nearly done now. I'm just finishing up the ground work and scenic details. 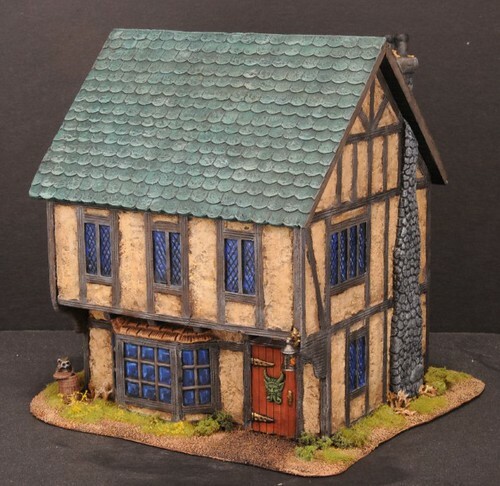 This waddle and timber house (Armorcast) is about 75% now. Roof, windows, door, and misc details left to finish up. This former Bloodbowl bruiser is getting a new job as a designated smasher with the halflings. Yes, thats a collander on his head, which ensured him a place in this warband.